During this time of the Evangelicals And Catholics Together (ECT) accord, I think it is important to be able to put good information into people’s hands. 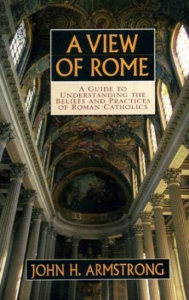 This is an easy read of fewer than 150 pages but gives precise and usable information on understanding the Catholic church and seeing the issues of salvation. Armstrong gives the historical perspective and a theological perspective. From a gracious spirit he says, “no” we cannot call the Roman view Christian.